You're shipwrecked on a mysterious island full of treasures and danger. When there's no more room in hell, the dead will roam this island. They come out at night and only true and experienced warriors will be able to leave this island with their life and loads of gold. 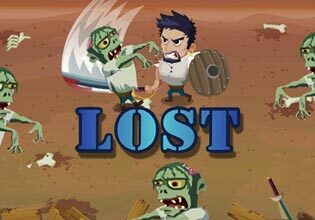 Lots of Action and adventure is awaiting you in this great free game!